At Pro-tec Building Maintenance Ltd. our definition of competitive pricing has been for our Customers to receive quality services with trained employees at the lowest possible price. Our search for better equipment, improved cleaning products and methods will always continue. Our higher productivity without sacrificing Quality will always mean a better price for you, our Customer. Our supervisors are the keys to our success. 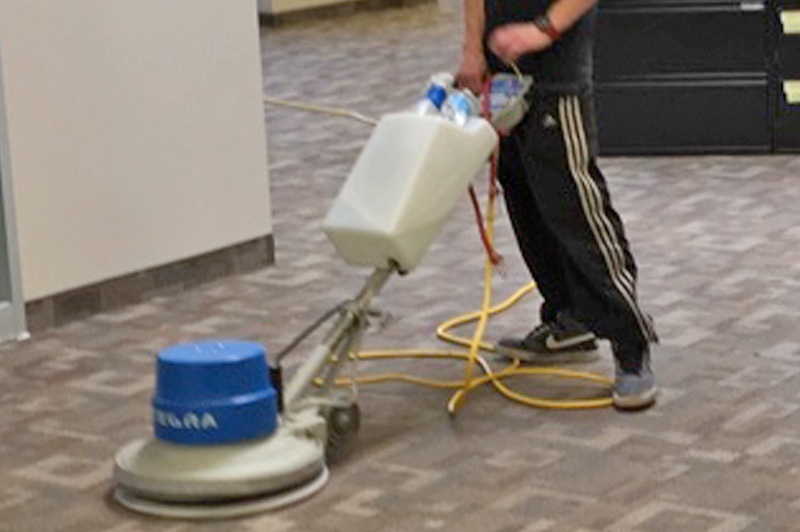 They motivate our staff, ensure the full work force is on hand each night, train, instruct and familiarize all employees with improved cleaning products or new methods used as well as all safety and security procedures. At Pro-tec Building Maintenance Ltd., we believe that communication is a vital factor in maintaining quality performance. All operation management personnel are equipped with pagers and cell phones to ensure immediate access at all times. Regular communication with our clients includes scheduled management inspections as part of the Quality Assurance Program individually prepared for each and every serviced account. Pro-tec Building Maintenance Ltd. formed this Division with fully experienced employees to carry out any and all special service requirements. This Division works closely with our regular contracts to ensure that all of our customer’s requests are carried out. Acoustical ceiling cleaning, t-bars, etc. Pro-tec Building Maintenance Ltd. is always attending seminars on Specialty Services. We have trained our Special Services Division and purchased all the necessary equipment to perform these services. Complete grinding of all types of flooring to remove scratches and stains, sealing and restoring to it’s natural finish. Complete grinding of any and all stainless steel counter tops, elevator doors, frames, etc. Any antique and mirrored finished brass, copper and stainless steel polished to it’s natural high gloss finish. A new product that will make a dull and discolored ceramic floor shine without any sealers or waxes. The only thing we suggest is to have all the grouting sealed to prevent dirt from penetrating. Brampton, Oakville and Mississauga areas.